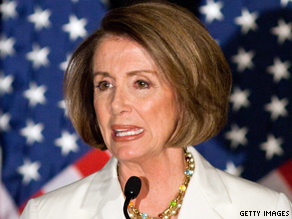 Will Pelosi as minority leader help or hurt Dems in 2012? She's a big part of the reason the Democrats got crushed in the midterm elections. Nancy Pelosi was seen as arrogant in her determination to help shove health care reform down the country's throat. Remember: "Vote for it so you can find out what's in it?" She controlled a huge majority in the House of Representatives - that did virtually nothing about creating jobs as the country labored under the weight of a horrible recession and almost 10 percent unemployment. Now in the wake of the midterm shellacking, Ms. Pelosi - who was targeted by Republicans in races all over the country as the face of the enemy - is insisting on remaining as minority leader in the House. Some members of her own party wanted her to step aside, but Pelosi seldom has time for consideration of much of anything except Ms. Pelosi. With some behind-the-scenes arm twisting, she has managed to get herself elected as minority leader in the house. Republicans must be giddy. Maybe they will throw a party for her like the one she threw for herself to celebrate her "accomplishments." If Pelosi accomplishes as much for her party in the next 2 years as she did in the last 2, the Republicans may have all the seats in the house and senate come January of 2013. 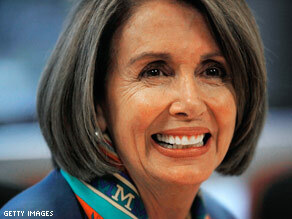 Here’s my question to you: Will Nancy Pelosi remaining as House minority leader help or hurt the Democrats in 2012? Time for Nancy Pelosi to go away? 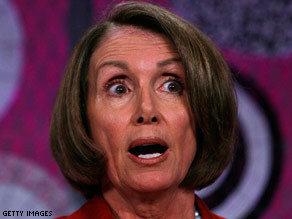 Some people just don't know when to call it quits - and House Speaker Nancy Pelosi is looking like one of them. Despite her party being crushed in last week's midterm elections - despite her party losing control of the House of Representatives - Pelosi wants to stay on as the Democrats' minority leader in the House. But a growing number of Democrats are having none of it. Fox News is reporting a group of defeated Democrats has written a letter urging Pelosi to step aside. The draft letter suggests that with Pelosi in charge, "the hangover of 2010 stands no chance of subsiding." 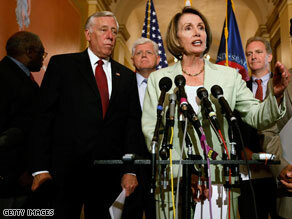 Other Democratic House members have said they will vote against Pelosi if she insists on running for minority leader. The Republicans couldn't be happier. They're positively giddy at the prospect of Democrats keeping Pelosi as their leader in the House. It's generally agreed that Pelosi and Senate Majority Leader Harry Reid drove the Democrats off the cliff. An analysis of TV ads shows more money was spent and more commercials were run against Nancy Pelosi in the midterms than against any other congressional leader since Newt Gingrich. More than $65 million was spent on more than 161,000 ads targeting Pelosi. Is she oblivious to this? A poll taken right before the midterms showed Pelosi with an anemic 26 favorable rating and a 53 percent unfavorable rating. Here’s my question to you: Isn't it time for Nancy Pelosi to just go away? 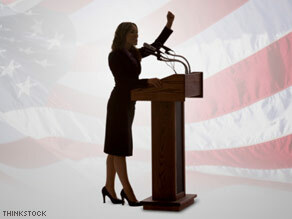 House Speaker Nancy Pelosi and Majority Leader Steny Hoyer write in a USA Today op-ed that opponents of the debate "are afraid not just of differing views - but of the facts themselves". They claim that "drowning out the facts" is how this country has failed many times at overhauling health care. Although they say dialogue is at the heart of democracy. These Democrats describe the protests as an "ugly campaign" that misrepresents reform and disrupts the discussion. They point to tactics that have included: hanging in effigy one Democratic congressman, holding a sign that showed a tombstone with the name of another lawmaker, and shouting "Just say no" over those who wanted to have a real discussion on reform. Pelosi and Hoyer insist that despite the disruptions, members of Congress will listen to their constituents and explain the reform. They say they're confident that their health care plan will stand up to any critics. Meanwhile, Republicans insist the protests are legitimate. Senate Minority Leader Mitch McConnell calls complaints from Democrats "absurd". He says attacking people for expressing their opinions "may indicate some weakness in their position." McConnell says the fact is Americans are concerned about health care reform, and the Democrats need to deal with that. Here’s my question to you: House Speaker Nancy Pelosi and Rep. Steny Hoyer call the town hall protests against health care reform "Un-American." Are they?